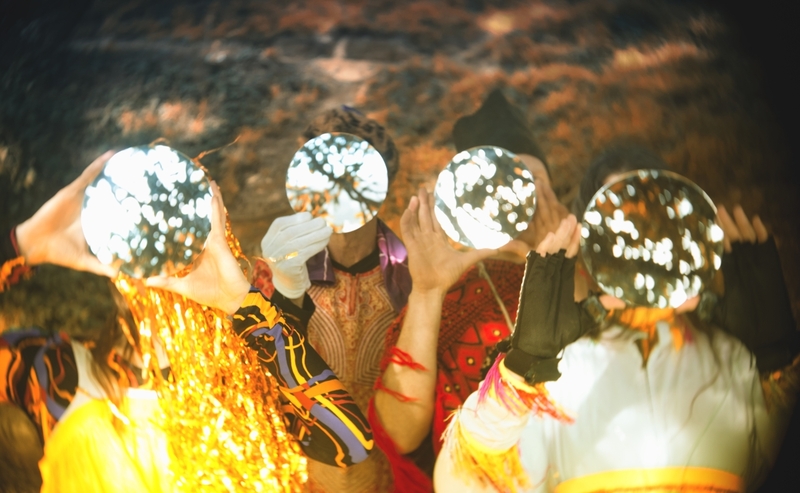 Filled with whimsical forays into glossed up afro-funk, psychedelic disco and sprawling electronics, New Zealand's Orchestra Of Spheres have released their new, bewildering album 'Mirror' via Fire Records. Opening with the almost-ten-minute-long title track, their album is a mainly instrumental exploration of energies and atmospheres, digging deep into layers of rhythmic power and ritualistic vocals, while passing golden nuggets of post-punk. Listen the album in full below. Orchestra Of Spheres’ performance at Le Guess Who? 2018 is curated by Shabaka Hutchings. This curated program also features a.o. Sons of Kemet XL, Paddy Steer, Kadri Gopalnath, The Comet Is Coming, BCUC, STUFF., King Ayisoba, and many more.